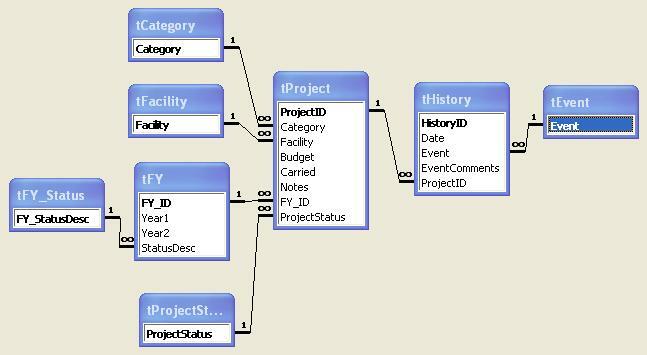 Database design view of a custom application created for a local Public Works Department. Send mail to info@fastlanetek.com with questions or comments. Copyright © 2011 FastLane Tek, Inc.